The 2016 Capricornia Business Awards were held at the Rockhampton Leagues Club on Friday evening November 11, with over 350 special guests attending. 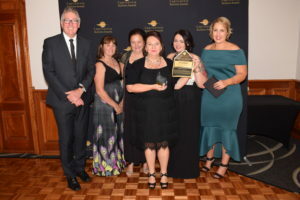 The Awards were sponsored by the Livingstone and Rockhampton Councils with support from, Capricorn Enterprise, Capricornia Chamber of Commerce and The Morning Bulletin. There were 12 categories with over 350 business registrations received overall. The night was a wonderful success and a boost to the local Rockhampton community. The awards were judged by six independent and neutral judges from across the local region taking into account whereby are commended on their excellent work in determining the eleven award winners while the final award winner was determined by popular vote. 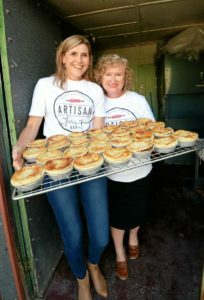 The judges undertook detailed evaluation of business plans, marketing strategies, staff development and training, customer service plus associated criteria. “We are extremely proud of our staff and their level of devotion and professionalism that they bring to our business, our customers and the local community”. A & B Mylec. 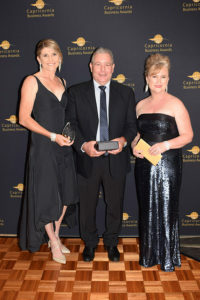 Member and Award Winner – Category: Best International Export. Shannon Hawkes Artisan Floral Design Winner & Economic Garden participant – Category: Best New Business.